A few weeks back, actor Rishi Kapoor revealed on Twitter that he will be working with Amitabh Bachchan after a very long time. Now, as per the tweet shared by trade analyst Taran Adarsh, it has been confirmed now that the duo will be working together in a movie named ' 102 not out'. He took to Twitter and shared the first look of the movie on the micro-blogging site. 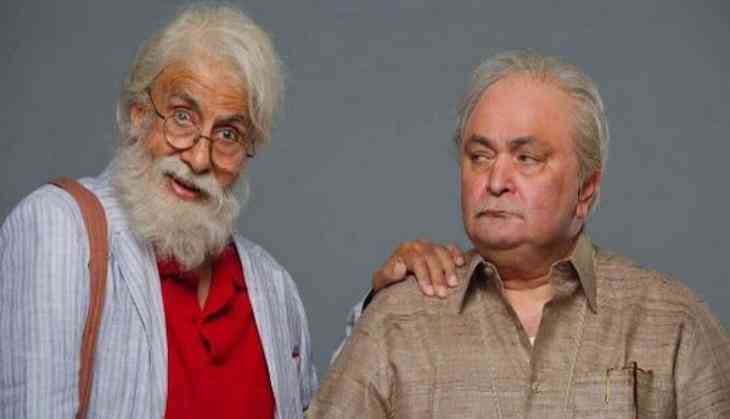 He captioned the snap, "Amitabh Bachchan and Rishi Kapoor reunite after almost 3 decades for director Umesh Shukla's #102NotOut... Filming commences in Mumbai." #102NotOut features Amitabh as a 102-year-old and Rishi as his 75-year-old son... Based on Saumya Joshi’s Gujarati play by the same name. The team is shooting in Mumbai and will continue till the end of the month.